Choosing your first tattoo – Part 1 – The Design. For the purposes of this article, let’s assume that you have never had a tattoo before, although most of the following information can also be of interest to those who have already taken the plunge. Assuming you’re not one of those who just happens to walk drunkenly into the nearest tattoo studio and gets a tattoo on an impulse, for most of you “tattoo newbies”, the idea of getting a tattoo has probably been germinating in your mind for quite a while. One way or another you have now caught the ‘tattoo bug’ and with every day that passes, you become more and more certain that you wish to join the worldwide tattoo fraternity. So how do you choose a design? And of equal importance – which part of the body do you choose to have your very first inking? 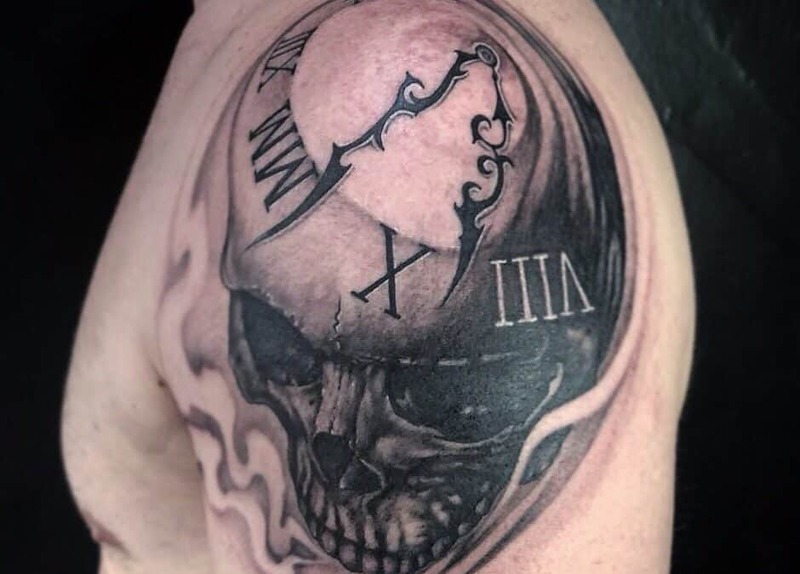 In Part 1, we will concentrate on the choice of design, and in part 2 we will discuss your options for body placement – after all, your entire body is a canvas and offers almost limitless permutations. But talking of permutations, in no other form of art do you have so many design options to choose from – and let’s be honest; such an incredibly wide choice can often be a stumbling block in itself. Choosing the right design can be so daunting that it can have a dampening effect on your tattoo desires. Are you making the decision on the spur of the moment because it seems like a cool idea, or do you want to keep up with your friends or emulate your favorite pop stars or other celebs of the moment? Maybe you are just bored, or you want a tattoo to mark a significant event in your life. Whatever the reason, think it through carefully and give yourself time to be absolutely sure that you are entirely comfortable with your decision. This can take days, weeks or even months, depending on the type of person you are, your age, your personal circumstances, and so on. Choosing the right design for you. Google tattoo images and Pinterest. There are so many tats on line these days that you are spoiled for choice. Browse tattoo magazines or other celeb publications that show off the latest tattoo art. If you are into art, go to some art galleries and museums and see if anything jumps out at you. If you are an ‘outdoors person’, take a trip to the countryside, go walking, camping or boating and see if you get inspired by nature. If you are a ‘townie’, take a walk through your town or city and see if there is anything strikes you that may look great on your body. Visit nearby tattoo studios, and ask to browse through their portfolios to get inspiration, but be careful not to go for a popular tattoo that has been distributed to the studios from an outside source. If possible, you want to have something original – and you want to look at the studio artists’ own work – not someone else’s. How long is a piece of string? But let’s take a look at some of the most popular, tried and tested design tattoo ideas that have worked well for generations of the tattoo fraternity. Tribal tattoos – still amazingly popular, originating from places such as Hawaii and Samoa. They provide artists with plenty of scope to create fantastic original tattoos consisting of heavy black lines and shaded geometric designs. Cross tattoos – another favorite that has been tried and tested over the decades, be they Celtic Crosses, Iron Crosses, Gothic Crosses, Christian Crosses and so on. Well-drawn crosses can look beautiful and some can even convey a stunning 3-D effect. Other Celtic designs, such as Celtic knots, circles, spirals, triangles, trefoils and so on. All these designs have deep spiritual meanings – check them out. Butterflies – another popular choice that can be incredibly beautiful if drawn by the right artist. Dragons – another oldie that never goes out of style – they are very significant in Japanese and Chinese mythology, so have many magical attributes and can be drawn in a wide variety of styles and colors. Do your research and find one that suits you. Angels & Cherubs – again still very popular, with a multitude of styles and meanings, often connected with protection, serenity, and a spiritual connection with God. Skulls – From ‘fun’ to a much darker side, skulls are another design that have been around for a long time and never lose their popularity. Bear in mind that they usually represent death in one form or another so be sure this type of tat is for you. Half sleeves and full sleeves – complex designs on the upper arm or full arm are extremely popular for both sexes and the choices of design are almost limitless. Have a look at designs posted on the internet and in your local tattoo shop and get inspired. Dates and Symbols – another sub-group of tattoos that appeal to many people who are looking for something meaningful in their own lives. Birthdates, wedding dates, and other significant dates in your life can be represented in a number of ways and in different styles of scripts. Or you can go one step further and have a design of a flower or animal representing your birth month, or the sign of your zodiac – Chinese or western, with their stylized animals or symbols. Portraits – Always popular are portraits of your children or other loved ones or even someone you admire. It is essential here that you are 100% sure you will still like them for decades into the future, and also that the artist is really skilled at drawing a true likeness of the person. Scripts and lettering – famous quotations, poems, sayings or proverbs, are yet more examples that can have personal meanings. In addition to the above suggestions, we can simply say that as far as tattoo designs are concerned, the world is truly your oyster. From the land, sea and sky; to the mammals, birds, and sea life; to the trees, fauna and flora; and all the other creatures that inhabit our planet. And let’s not forget mythological and fictional creatures. Take your time to choose what is right for you; consider your short list carefully – it doesn’t have to have any meaning, it can simply be something that you like very much. Do a brainstorming session and make a list of all the things in this world that appeal to you, and see if any of them may be a likely candidate for a tattoo. Here are a few things to bear in mind and /or take into account when making your final choice. Decide how much you want to spend – this can have a bearing on your choice of design, as obviously a small simple tattoo will be much cheaper than a large complex tattoo covering a large area of your body. Check out studio prices and how much you can afford before making the design decision. Try not to copy someone else’s tattoo – for obvious reasons you might upset the person you copied, and your tattoo is supposed to be you – not someone else. Don’t make it extremely small – just to see if you like it. Don’t design your own tattoo without checking it out with your artist to make sure it will really work. Carefully consider the advice and suggestions of your artist – even if they don’t sound right to you –artists usually know best. Never get your first tattoo on a whim – you will probably live to regret it. Try to avoid highly detailed designs that will fade and blur with age. “If it’s bold it will hold” – tattoos should consist of bold, high-contrast images that will not spoil when they fade and blur a little. Keep it simple – an old adage that will serve you well. Ideally, you should choose one main subject, one secondary subject, and one background element. Examples could be the moon, stars and a curl of smoke, or a skull, flowers, and flames. Find the right artist, such as we have at ALL DAY Tattoo in Bangkok. There will be more about how to choose your artist in Part 2, but as far as the tattoo design work is concerned, you won’t be disappointed if you come to ALL DAY Tattoo. One of our artists will discuss with you, free of charge, whatever designs may appeal to you. If and when you decide to go ahead, they will do the final design work free of charge as part of our overall service. If you are in Bangkok or are planning a trip here, why not click the button below and arrange your obligation-free consultation. We won’t let you down as it is in our interest – as well as yours – to provide you with a tattoo that you will love and will be happy to live with for the rest of your life.